MJ Steakhouse's 'Secret' Menu Item . . .
And speaking of Michael Jordan's Steak House, the Mag Mile resto has just introduced a secret, off-menu, late-night special. They're calling it the Killer B—which is available by request only and served weeknights after 10pm. 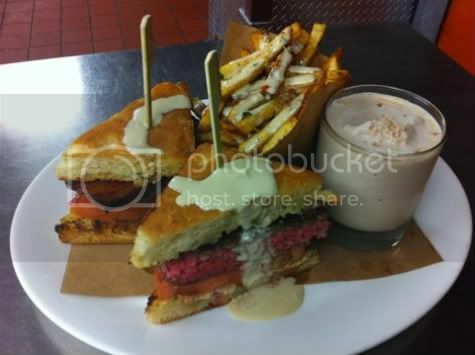 For $19, "insiders" get a bacon and blue cheese topped burger, sandwiched between two pieces of signature garlic bread. Now, this is a dream team we can appreciate! 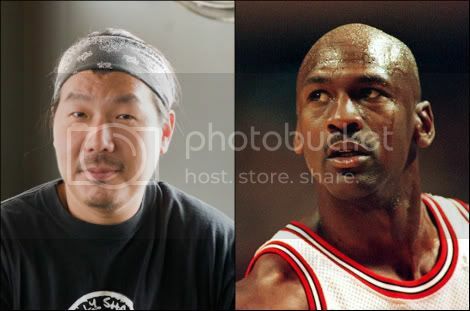 Bill Kim (Belly Shack, Urban Belly) is teaming up with Michael Jordan's Cornerstone Restaurant Group (Michael Jordan's Steakhouse) for a new Asian BBQ concept going into the former one sixtyblue space in the West Loop.